Griffith Senior Lecturer Dr Tapan Sarker is driving an ongoing research collaboration with Rajalakshmi School of Business, in Chennai, India, demonstrating the university's commitment to creating meaningful social outcomes in the Asia-Pacific region. 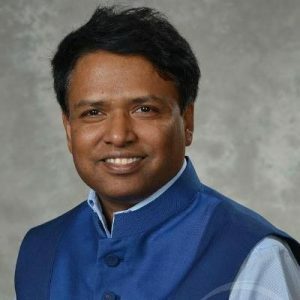 "As a Visiting Research Scholar, I am working on building capacity to conduct joint research between GBS and RSB, and expanding the research to the industry and not-for-profit sector in India, Dr Sarker, a member of the Department of International Business and Asian Studies and Asian Studies and the Griffith Asia Institute, said. "During this period, I have conducted an Executive Professional Development Program on 'Best Practices in Sustainable Business Management: A Case in the Auto Industry', and a Faculty Development Program on "Talking Research" for both industry fellows and academia. "As part of industry interaction, I have also addressed members of the Madras Management Association on the theme, 'Sustainable Resource Development in Asia - Challenges and Opportunities for Future Growth for Indian Business." The RSB/IBAS collaboration will commence with joint work on a Griffith-funded action research project on sustainable supply chain processes in the marketing system, using a case study of farmers' markets in India and Vietnam. Led by Dr Sarker and RSB Director Professor Subhendu Dey, the project will be joined by another proposal on the role of social enterprises in influencing climate change policy adoption in transitioning economies, using a case study of SELCO Solar Pvt Ltd's activities in India. Dr Sarker's relationship with Rajalakshmi School of Business started after he was approached to provide advice on pedagogy and research in sustainability. He has also helped design a course - which he co-taught - on corporate social responsibility, conducted research workshops and training programs for RSB faculty members, promoted research at RSB and working towards publishing joint papers. Now, he has his sights set on further cementing Griffith's reach in the region and creating meaningful results for the university's new research partner. "The collaboration with RSB aims to achieve a range of outcomes, including fostering knowledge exchange and collaboration between Australia and India, conducting more joint research and publication of results," Dr Sarker said. "We then hope to disseminate our findings among policy-makers and key stakeholders in Australia and India, as well as develop future research projects."